Safety is an immensely important aspect of the manufacturing process. First and foremost, workers need to be informed about the dangers of working in a manufacturing facility and be properly educated on all the necessary equipment. However, the other aspect of machine safety is for you to ensure that all the proper safety features are in place and working at all times. Here at Dynamic Measurement & Control Solutions, we put safety above all else. If you’re concerned about the safety of your business or you’re looking to meet OSHA standards, we would be happy to consult with you, understand exactly what you’re trying to accomplish, and align you with a manufacturer who has the materials you need. Give us a call today to get started. In the meantime, keep reading to learn about several presence sensing devices for machine safety. A light curtain is pretty much exactly what it sounds like: a photoelectric presence-sensing device use to prevent injuries in the workplace. A light curtain can be used to replace traditional mechanical guards like gates. There are two types of safety light curtains including Point of Operation Control (POC) models which will help protect the fingers and the hands and Perimeter Access Control (PAC) solutions which will protect the whole body or the area around a machine. Safety laser scanners have a wide range of applications and can even be used in mobile applications. A safety laser scanner can perform danger zone guarding, point of operation guarding, or access guarding. With an individual and definable protective field, coupled with a compact design, safety laser scanners can be used in a variety of ways. Safety mats are a form of contact and pressure-sensitive safety devices. Although safety mats are effective at detecting personnel standing in the area, they are limited in their applications due to the fact that they aren’t able to detect the presence of objects in a 3D plane. Similar to light curtains, camera-based safety systems can activate whenever it detects a foreign object that comes into frame. On a linear scale, camera-based safety systems are able to calculate stopping distance, velocity, and the upper beam’s position ensuring that the entire area around the machine is covered. 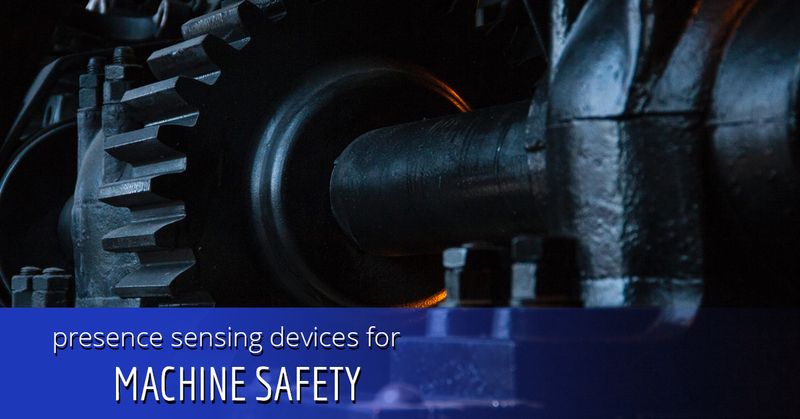 Presence sensing devices are very important for the overall safety of your manufacturing facility. At Dynamic Measurement & Control Solutions, we are proud to offer engineering consulting services to help you plan and better understand the engineering solutions that will help you succeed in your business. Once we’ve determined exactly what you need, we’ll direct you to a manufacturer who can provide you with the supplies you need. Speak with us today to learn more about industrial control panels, industrial power distribution, electrical and industrial power management and much more. We are your top electrical engineering consultants for everything related to factory automation and transportation engineering. Give us a call today to learn more.